Your favorite snack and your favorite meal combined. 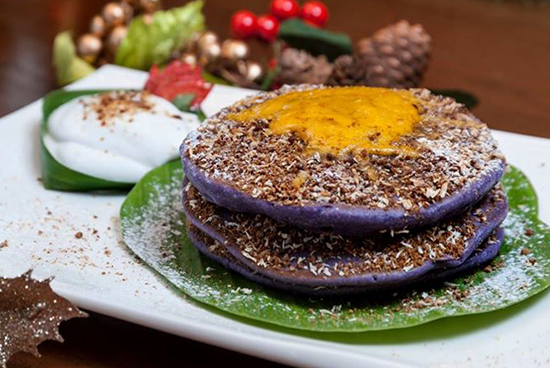 (SPOT.ph) Fast-casual chains are working in overdrive these days and we don't believe it's because of the holiday rush. A few weeks after pizza franchise Shakey's released their spicy Firehouse Pizza, they've already developed something new. 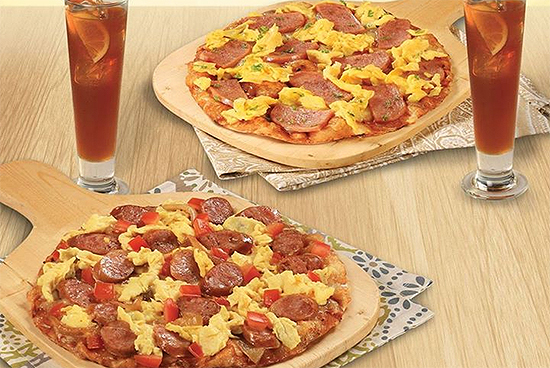 Meet their latest Breakfast Pizzas. They come in two flavors—one topped with Spam and another embellished with sausage. 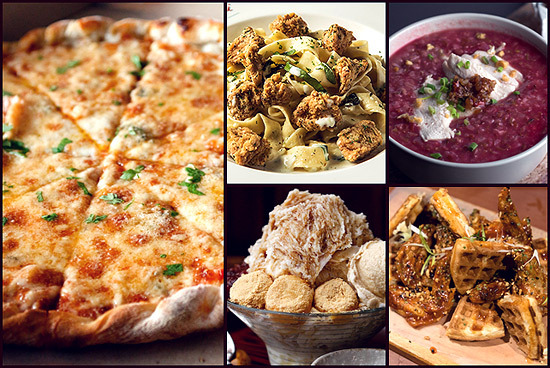 These pies come in solo servings, iced tea or coffee for P149. 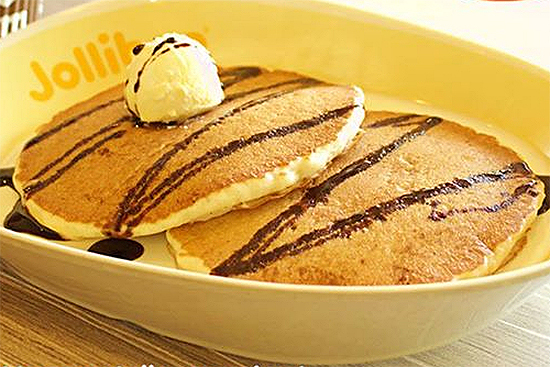 They're available only at Shakey's 24-hour branches from 10 p.m. to 10 a.m.
On the other hand, Jollibee, who decided to put their Chickenjoy in a breakfast package only a few months ago, has concocted new dessert pancakes. They're called ChocoNut Pancakes and they're filled with bits of Reese's Peanut Butter Cups with flourishes of chocolate syrup and a scoop of butter. Our sweet tooth is tingling!